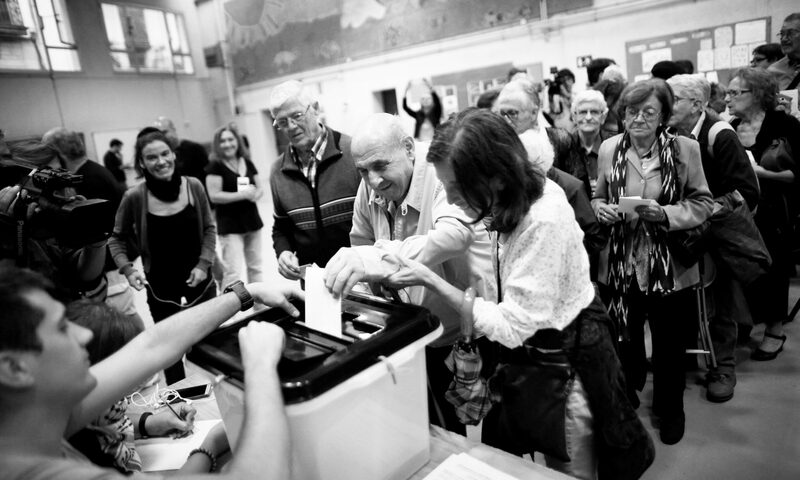 It was possible to vote normally, despite computer problems. At some point in the day, some Policia Nacional vans pass by, and it was decided to stop the voting and close the polling station. People stay to protect it. Cassolada (banging pots and pans as a protest) the day before. Esperando. 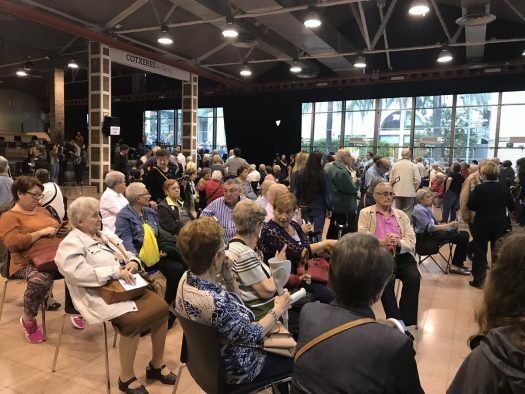 Foto del periódico MadeInPerpignan. Una mujer mayor espera para entrar. 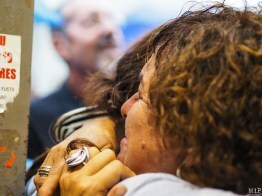 Foto del periódico MadeInPerpignan. People are asked to be patient. 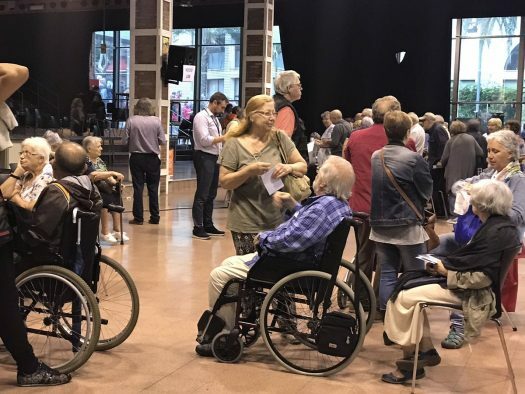 People with reduced mobility wait to vote. Chairs were put out for the elderly people. 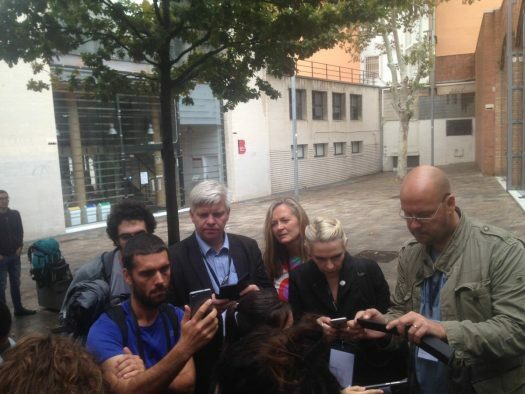 International observers watch on mobiles the police attacks from the Ramon Llull school. 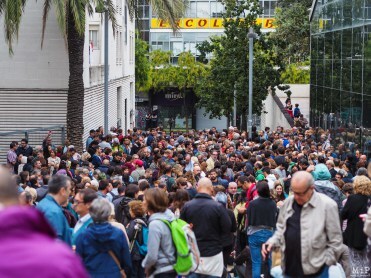 Hay una gran multitud fuera del centro. Foto del periódico MadeInPerpignan. 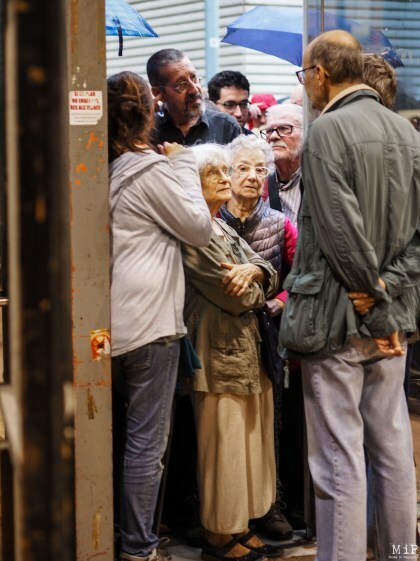 Dos votantes se abrazan emocionadas. 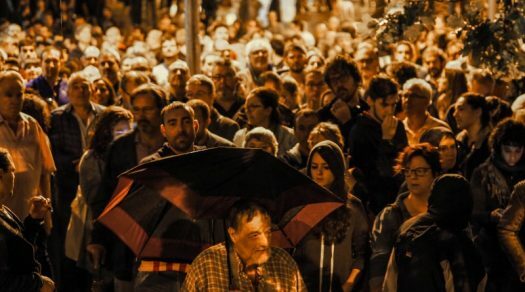 Foto del periódico MadeInPerpignan. The vote count begins and people sing the Catalan National anthem "Els Segadors."